The 40 best Young African Innovators have been identified by our community and selected by the members of our Strategic Board to participate to the 1st Africa 4 Tech Open Innovation bootcamp, which was held from the 2nd to the 4th of november in Marrakesh. Among them, 4 Digital Champions have been nominated to represent African digital innovation at COP22 and beyond ! DK received an A.B. in Engineering Design, both from Harvard University. His building and research explore sustainability by linking form-making, technology and geopolitics with social dimensions of global environment. TEDGlobal Fellow, Fulbright Scholar and co-founder of design think tank DSGN AGNC, he has presented his work at the Royal Institute of British Architects, Harvard Graduate School of Design, PennDesign, Cornell, KNUST, University of Ghana-Legon, Smart Cities Expo and on the BBC. He blogs about African architecture and making at Afrch. Most recently, he designed a new town in Eastern Nigeria. 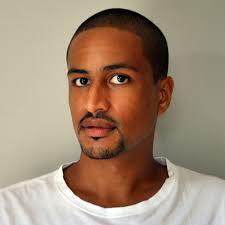 DK Osseo-Asare is co-founding principal of Low Design Office (LOWDO), an architecture studio based in Texas and Ghana. Lilian is an expert in financial inclusion. She has been part of various innovations targeting the low income population. The biggest being Jamii Africa – a mobile micro-health insurance product targeting the low income and informal sector population that impact the lives of over 7,000 families in Tanzania. Lilian has been named by local and international organizations as Top most innovative woman in technology in Africa during the 2016 The World Economic Forum. Flavien Kouatcha is a 27 yo general engineer passionate about agriculture, founder and CEO of the start-up "Save Our Agriculture". Within his company, he manufactures aquaponics units and individual kits to allow individuals and professionals to produce large volume of organic food in urban space, by using organic fertilizer from fishes excrements. To date, he promotes digital agriculture and he is going to install the first connected aquaponics unit in December 2016 in Douala. 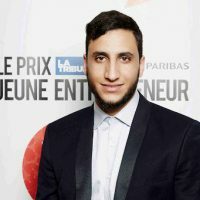 Mehdi is an entrepreneur and creator of frugal solutions in the areas of water and energy. After several significant experiences within EPC companies - Engineering, Procurement and Commissioning - and a strong involvement in several projects combining seawater desalination and solar energy, Mehdi founded Alto Solution in 2012. Alto Solution aims to continually innovate, looking for the most rational and pragmatic solutions for access to water and energy and to meet the challenges of circular economy. 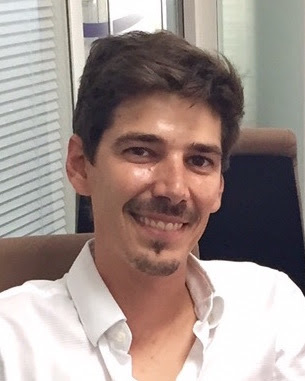 With the to facilitate people's access to health care , keen to support the world of health and all stakeholders in the implementation of their digital transformation , Serge has chosen to follow the first innovative Specialized Master e- health (ESIEE Paris) to work on telemedicine projects and e- health in response to multiple needs in the health sector. 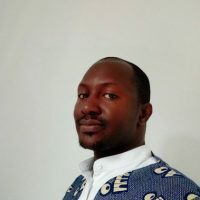 Serge is the co-founder of MedecinDirect in Ivory Coast, a medical expertise and mobile platform, accessible anywhere, enabling people to interact with doctors on all issues and concerns related to their health or that of their relatives. 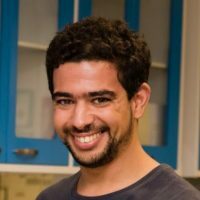 Anass El Hilal is a biomechanics engineer graduate at Polytech’Montpellier, France. He worked in the development of innovative medical devices for 2 years. During his stay in Morocco, he realized how people suffering of renal impairment and living in medical deserts had great difficulty accessing their dialysis sessions. Since he works to develop solutions to facilitate their daily lives. 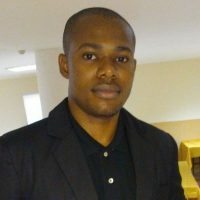 Dr Emmanuel Owobu is a Medical Doctor, Social Entrepreneur and mhealth Consultant. 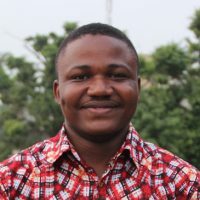 He is the founder & CEO of MOBicure, a mobile health (mhealth) company creating solutions that make use of mobile technology devices and tools such as phones, tablets, SMS, apps, Interactive Voice Recordings (IVRs) and videos to solve some of the most pressing healthcare problems facing developing countries, especially with regards to maternal and child health. 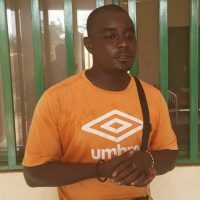 Kisito Gamene is a co-founder and the vice-president of Ouagalab (innovation and co-creation hub, established and entirely managed by young people in Ouagadougou ). 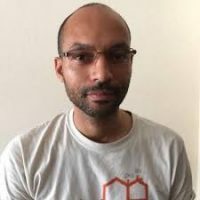 He is also the co-founder of the Openstreetmap Burkina Faso and a trainer with the UNDP and International Organisation of the Francophonie (OIF) in digital cartography 2.0 in Africa. In health sector, he is the initiator of the project Cartomalaria, a public health initiative to digitize areas at risk of malaria to guide actions of different actors. 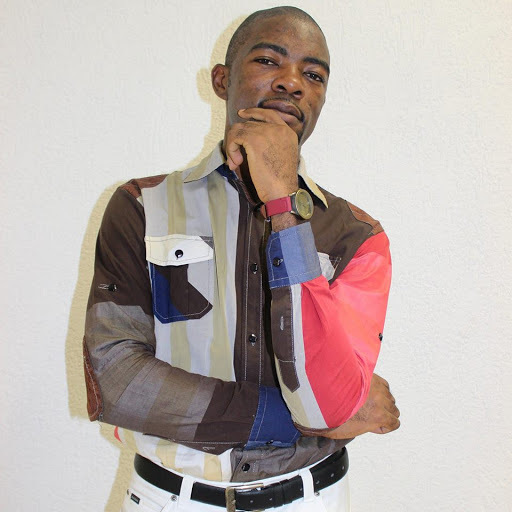 Omasirichukwu started his own business couple of years ago : Novadge, a start-up specialized in new technologies. His goal: to create and make available to its customers tools to improve efficiency and reduce the operational costs of their businesses. In the e-health sector he launched the company Chart Synergy Limited. 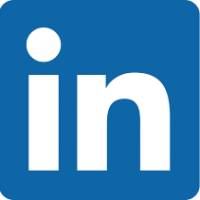 The company develops softwares to improve the efficiency of health systems, facilitating collaboration between practitioners and access to medical information and clinical quality standards. 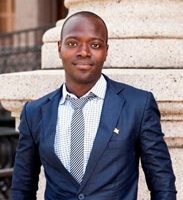 Dongmo Herve is a Senior Engineer at Gifted mom, an award winning social enterprise which develops innovative and low-cost technologies to improve maternal and infant health. GiftedMom solutions consist of a preventive SMS and voice maternal engagement and notification service which notifies pregnant women and new mothers on when to go for their next antenatal care service or baby vaccination, and empowers them with healthy habits to cultivate in order to have a safe pregnancy. 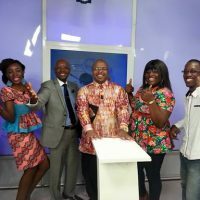 Alfred Godwin Adjabeng is the Executive Director of Reach Out to Future Leaders Movement, a community-development based organization that is responsible for ensuring that young people are educated, empowered and engaged for local development. School Farms Programs is their flagship program, a program that is empowering rural schools in Ghana to be food sufficient by creating community driven farms in order to grow what they eat whilst using the same space to gain practical skills in agriculture. 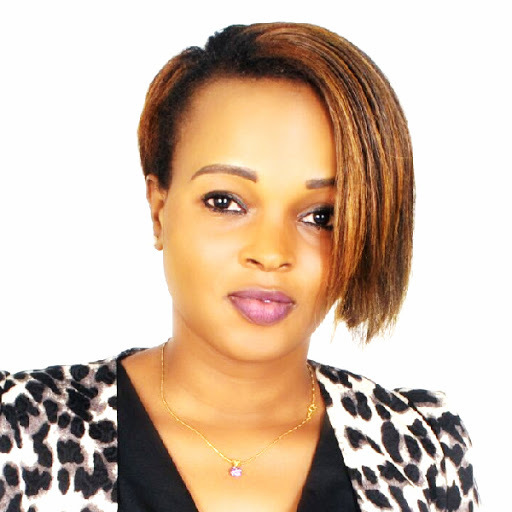 Rose Funja is passionate about ICT for Development. She is the founder and Managing Director of Agrinfo, a social enterprise that focuses on documenting farm land ownership for smallholders and forming linkages within the agriculture value chain. 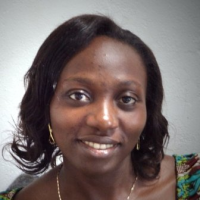 Ms Funja is a trained engineer for information systems and is passionate about open data, big data analytics and UAVs. Originally from the province of Khouribga, this young student is particularly sensitive to the issue of waste treatment, a subject to which she devoted her graduation thesis. After that, she decided to enroll in the incubation program of the university to develop her idea of a company specializing in the construction of agricultural biogas plants . Her goal ? Set up a farm waste management strategy adapted to the culture and the needs of small farmers. In 2013, she founded Biodome, providing farmers with a simple and innovative system to recycle organic materials producing biogas and digestate used as fertilizer. Jamila is the founder of M-farm, an accessible, easy-to-use tool that enables farmers to acquire information about the current prices of different crops in specific markets throughout Kenya. She is also working to bolster their bargaining power and business planning abilities. In this way, Jamila is empowering entrepreneurs and brokers to act at scale by building on more strategic use of data and information in creating exchanges and entrepreneurial opportunities for new players to foster change and build wealth in the rural economy. An agronomist by training, Larissa Uwase’s latest innovation, in partnership with the University of Rwanda, is to make spaghetti from the vegetable. Larissa co-founded Carl Group, a youth-led company that aims at transforming orange-fleshed sweet potatoes into well-processed vit-A products like donuts, bread, cakes, biscuits, and chips. 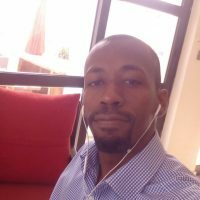 Aboubacar has over ten years experience in ICT4AG and entrepreneurship sector. 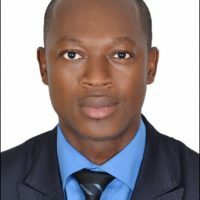 He founded Amandjine Consulting which is specialized in web and mobile solutions oriented towards rural areas in general and particularly in agriculture. In 2013 he launched mLouma platform to help thousands farmers to sell their crops. Aboubacar is passionate about the company’s goal of providing support to African farming communities. A native of Ziguinchor in the south of Senegal, he comes from a farming family himself, and sees the opportunity to use technology as a lever for development. Sohaib El Outmani is a Franco-Moroccan born in 1985 in Paris. He graduated in the fields of information technology and fundamental physics. Currently he is preparing a thesis on thermodynamics of lithium batteries between France and Singapore. He also participated in the design of an intelligent chip connected to batteries with Professor Rashid Yazami, laureate of Draper Prize 2014. Growing up with a grandfather who owned an electrical workshop profoundly shaped the person Mothwa is today. From a very young age he was fascinated with physics and discovering the fundamentals behind how things work. This drove him to pursue a BSc degree in Electronics and Physics, and an Honours degree in Applied Nuclear Physics, and it was during his post graduate studies that he started developing the idea for the AEON power bag. AEON is a power bag that is able to turn radio frequency signals into electrical energy that can then be used to charge your smartphone, tablet or laptop wirelessly. Wadongo grew up in a rural village in western Kenya before earning a BSc. 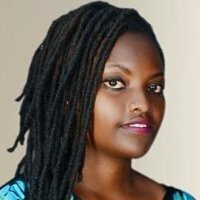 (Honors) in Electronic and Computer Engineering from Jomo Kenyatta University of Agriculture and Technology. At 19, he designed the first-ever African solar lamp, dubbed MwangaBora®. Mr. Wadongo is the Chairman of Wadson Ventures, an angel impact investment firm working with promising African start-ups and the co-founder of GreenWize Energy, which is advancing cutting edge African designed renewable energy solutions in Sub-Saharan Africa. Ifedayo is the CEO of GRIT Systems. At GRIT Systems they build the world most flexible multi source smart metering system capable of managing arbitrary complexity to match this most complex of energy landscapes. They can measure power production in real time from any number of sources, generators, inverters, utilities , mini-grids, solar you name it. They provide power consumers and providers at all scales with easy to understand information about their power consumption habits and offer a real workable solution to cut costs per unit energy and to reduce over all energy consumptions. 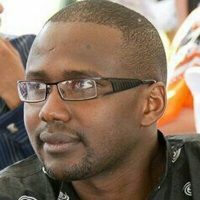 Tony harbors an undergraduate degree in Civil and Structural Engineering from The Jomo Kenyatta University of Agriculture and Technology's School of Engineering and currently finalizing his Masters in Engineering Degree in Energy Management from the University of Nairobi's College of Architecture and Engineering. He is the Co-founder and CEO of Strauss Energy. Strauss Energy provides a solution to the energy problem currently being experienced by businesses and households by providing renewable and cost-effective energy through BIPV technology, a revolutionary solar-powered roofing tile designed and made in Kenya. 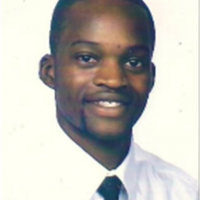 Chérif Haidara is graduated in International Business and Development. Expert in Asian markets including China (5 years) and sub-Saharan Africa (+ 10 years), he speaks fluent in Bambara, Mandarin, English and Spanish. 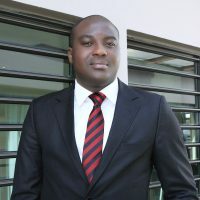 He is the CEO of Afrika Solar. The idea behind this project is to connect Malian people to solar energy by producing lamps with local materials, to benefit the greatest number of inhabitants and remedy the scarcity of energy accessibility in Africa. Nelly Shella is a passionate youth worker and community development agent with five years' experience working with civil society in the areas of youth and women empowerment, renewable energy, community mobilization, micro-finance, and sustainable agriculture. She currently acts as coordinator of the Rural Women Development Center of Cameroon, where she sees to the day-to-day running of its activities to promote women and youth empowerment, community development and sustainable resource management. 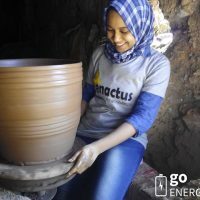 Raowia & Soufiane are the co-founders of Go Energyless, a Moroccan startup specialized in designing, manufacturing and marketing daily use products that work without electricity. Their first project is a 100% natural refrigerator sold in two versions : a basic one, for people in rural areas who do not have access to electricity and a more attractive one for consumers and followers of the bio green products. Ghislain is the Founder of Africa For Green. Flagship program : social Biogas, a kit for producing biogas at home. From this kit each household can produce cooking gas from organic waste it produces. The aim is to reduce the use of firewood , charcoal as fuel ( the extensive use of wood as fuel leads to the destruction of our forests ) by households and enable better management of their waste energy transformation. 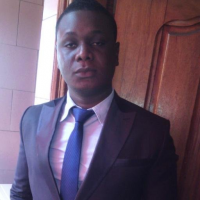 Graduated from ESCA (Ecole Supérieure de Commerce d’Abidjan), Armel KOFFI started his career in advertising field. He soon fell in love with social entrepreneurship and founded Splash, an EdTech startup. Splash launched the web education platform dubbed www.succes-assure.com. His goal is to make education accessible to all in Africa thank to IT. In 2014, Armel won the UNESCO and CEPS price, "tremplin ivoire du jeune entrepreneur social". Sam Kodo, the founder of Infinite Loop, built his first robot at 8. 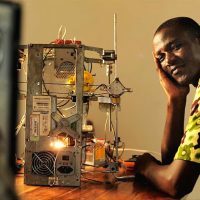 Whilst personal computers still be a luxury in Togo, he started a company producing affordable microcomputers that can be plugged into any screen. His flagship project is SMARTBAG, a low cost laptop powered with solar energy, useful for those without access to electricity. 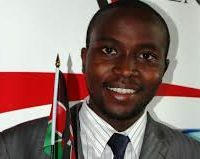 Sam was one of the finalist of Anzisha Prize 2014 and laureat of the prestigious « Mandela Washington Fellowship 2015 ». Raoul FOTSO is manager of several social projects in Cameroon. He is CEO and cofounder of KwiiziBox which aims to democratize knowledge via ICT and sharing experiences worldwide. For him, education is the basis for development in Africa. His association Hope For East Cameroon promotes education in rural areas and refugee camps. 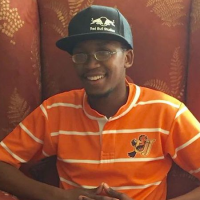 His dedication to the young entrepreneurship promotion earned him a place in the ecosystem for African startups. Banhoro Raissa Armelle is an engineering student in computing science. From a young age technologies and entrepreneurship had been passions of hers. Following her dream turned out to be very fruitful since in 2015 she is the winner of the best app developer contest MTN APPLIDAYS in Côte d’Ivoire, with her interactive alphabetising app LUCIE. 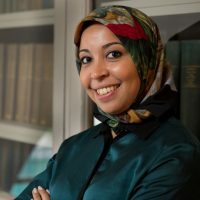 In 2016, she is selected among 25 women figures in the field of entrepreneurial sciences by the US embassy to participate to the GIST Women Village program. She recently co-founded «BNA Dev Studio», a start-up specialised in game design, web services and graphic design. Since her childhood Oreoluwa Somolu was interested in new technologies. After several years spent abroad, mainly in the US, she returned home to work and pursued her interest in women’s empowerment through technology. Oreoluwa registered W-TEC with a small grant in early 2008 and since then, has worked to break down the barriers preventing women from accessing the social, educational, and economic benefits of ICT skills and technology-related careers. 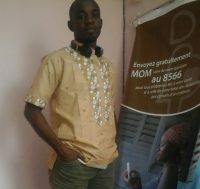 Obin is the Co-Founder & Chairman of the BabyLab, first Ivorian FabLab, located in the popular neighborhood of Abobo. Obin is also part of the 34 Young African Leaders of BSF (Libraries Without Borders) Campus program aimed to invent tomorrow libraries in the countries of Francophone Africa and Ambassador representing the Ivory Coast to the Next Einstein Forum program which aims to promote the African scientific and technological innovation on the international stage. 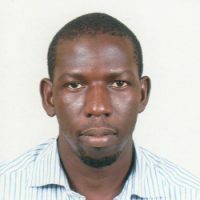 Kodjo Afate Gnikou is the founder of Wooramakes, a green start-up that relies on recycling computer waste to provide high technology. Driven by the " success story " from the " Printer Wafate 3D ( Open source 3D printer designed African made from recycled computer waste) , Wooramakes passes an operational phase in Africa using limited resources to deliver technology at low cost through the manufacture of 3D printers , digital milling machines , laser cutting and others. the project also has an educational component consisting to popularize the technology of 3D printing in schools and niversities. 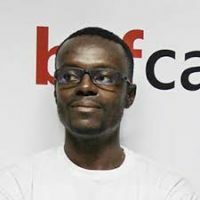 Kofi Sika is a creative and art director, passionate about gaming universe. In 2010, he starts his own multidisciplinary design studio , EFIXX Studios based on a mix of Operating models Condition from video game studios, communication agencies and NGOs in terms of management. 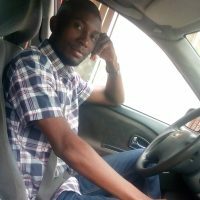 From E education laboratory to communication design this creative industry strategist agency aims to promote and design innovative global solution that are socially beneficial to Africa. 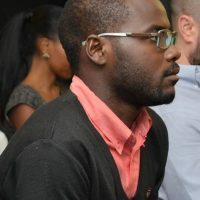 Kofi heads the Senegalese chapter of the International game developers Association (IGDA.org) and leads the SpaceApps, an innovation program of the NASA incubator in Dakar, Senegal. 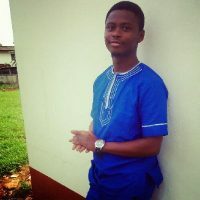 Kunle Adeleke is an Engineering graduate, a Product Design enthusiast, CAD expert and when needed, a Computer programmer. He dreams of improving the world through intelligent, creative and innovative technological solutions. He is also highly passionate about great ideas including TED. Temi Aiyelari is an Electronics Engineer and a maker. His interests are in 3D printing, Robotics, Artificial Intelligence and Rapid Prototyping. He is a winner of Startup Weekend Lagos 2015 and a finalist at the ASME iShow Kenya 2016. He is passionate about solving challenges with available technologies. Daniel Isa have used their ten years of engineering and app development experience to build solutions that tackle problems in Africa. Solutions that he has designed and built have won awards from Microsoft & Airtel. Being an innovator is more than a job to him: “I’m on a life long mission to leave a lasting & positive impact on the African continent”, he said.